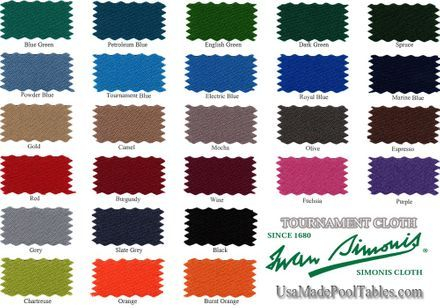 We are proud to off Billiards Cloth from Championship and Simonis. In addition we also offer custom cloth that can feature any design, color, or logo that you wanted. Are you a die-hard sports fan? Motorcycle nut? We can get custom printed cloth to fit in with that. If there is another type or brand of cloth that you wanted on your table ask us. 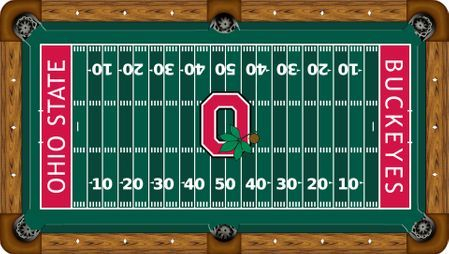 Do you have a logo or photo you want on your pool table? We do custom cloth for tables. We've done football fields with team logos, and a few Harley Davidson tables with the Logo. If you want your table to show your support for your sports team, company logo, or to fit into the theme of your room call us and ask about Custom Cloth for your table.